Det är dags att skrota det stabiliseringspolitiska ramverket! Hur ska den ekonomiska politiken bäst föras i en “extrem situation” som den vi har idag? Många nationalekonomer tycker att vi ska hålla fast vid det rådande stabiliseringspolitiska ramverket. Men – inte ens den mest utrerade normpolitiken klarar sig utan en betydande grad av flexibilitet. Penning- och finanspolitik måste bedrivas på annorlunda sätt när vi befinner oss i en situation nära ”zero lower bound” och likviditetsfällor gör det svårt att föra en nödig expansiv penningpolitik. Här är det oftast optimalt att göra avvikelser från uppställda inflationsmål och tillämpa undantagsklausuler som ger centralbanker flexibilitet nog att avvika från den normpolitiskt styrda låginflationspolitiken. Som flera forskare kunnat visa (t ex här) kan multiplikatoreffekterna mycket väl vara > 1 i dylika likviditetsfällor. Att i det läget – som i Sverige – avstå från att bedriva en expansiv finanspolitik och mestadels nöja sig med att genomföra skattesänkningar, är oftast kontraproduktivt, eftersom effekterna i stor utsträckning inskränker sig till att höja realräntan och öka det privata sparandet. I likviditetsfällor ger helt enkelt offentliga utgifter regelmässigt större ”bang for the buck” än skattesänkningar. finanspolitiska regelverket är en klen tröst, när det visat sig att likviditetsfällor och skulddeflation är återkommande inslag i vår samhällsekonomi. Vi lever i en ekonomiskt brydsam och omtumlande tid. Då räcker det inte med halvmessyrer och harhjärtade förslag som bara på marginalen ändrar på det stabiliseringspolitiska ramverket – eftersom det rådande ramverket med stor sannolikhet bidrar till att omöjliggöra en adekvat krisbekämpning i en “extrem situation” som den vi lever i idag. Att bedriva ekonomisk politik när vi har solsken och vackert väder är en sak. Att bedriva samma typ av ekonomisk normpolitik när väderleksrapporterna talar om stormbyar och mörka moln är verkligen ”very foolish indeed”. Davidson’s article is a nice piece – but ergodicity is a difficult concept that many students of economics have problems with understanding. To understand real world ”non-routine” decisions and unforeseeable changes in behaviour, ergodic probability distributions are of no avail. In a world full of genuine uncertainty – where real historical time rules the roost – the probabilities that ruled the past are not those that will rule the future. Time is what prevents everything from happening at once. To simply assume that economic processes are ergodic and concentrate on ensemble averages – and a fortiori in any relevant sense timeless – is not a sensible way for dealing with the kind of genuine uncertainty that permeates open systems such as economies. When you assume the economic processes to be ergodic, ensemble and time averages are identical. Let me give an example: Assume we have a market with an asset priced at 100 €. Then imagine the price first goes up by 50% and then later falls by 50%. The ensemble average for this asset would be 100 €- because we here envision two parallel universes (markets) where the asset-price falls in one universe (market) with 50% to 50 €, and in another universe (market) it goes up with 50% to 150 €, giving an average of 100 € ((150+50)/2). The time average for this asset would be 75 € – because we here envision one universe (market) where the asset-price first rises by 50% to 150 €, and then falls by 50% to 75 € (0.5*150). From the ensemble perspective nothing really, on average, happens. From the time perspective lots of things really, on average, happen. Assuming ergodicity there would have been no difference at all. 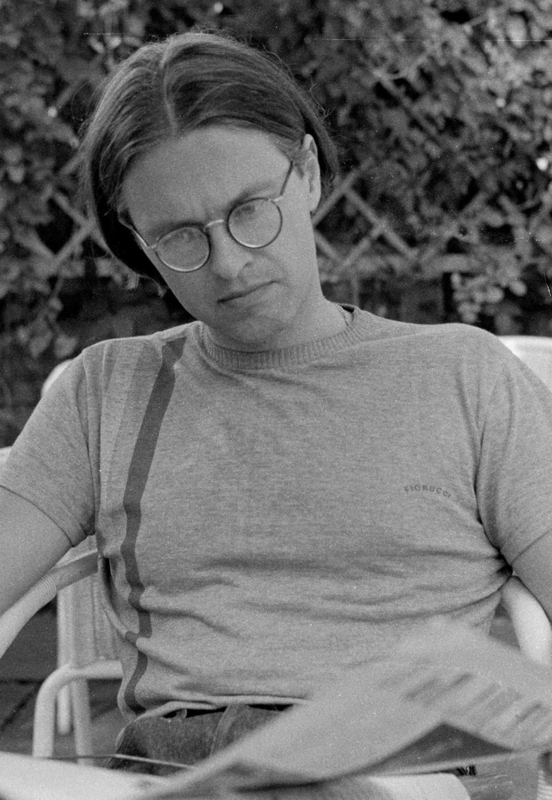 Lars, if the stochastic process is ergodic, then for for an infinite realizations, the time and space (ensemble) averages will coincide. An ensemble a is samples drawn at a fixed point of time drawn from a universe of realizations For finite realizations, the time and space statistical averages tend to converge (with a probability of one) the more data one has. I do object to Ole Peters exposition quote where he talks about “when risks increase”. Nonergodic systems are not about increasing or decreasing risk in the sense of the probability distribution variances differing. It is about indicating that any probability distribution based on past data cannot be reliably used to indicate the probability distribution governing any future outcome. In other words even if (we could know) that the future probability distribution will have a smaller variance (“lower risks”) than the past calculated probability distribution, then the past distribution is not is not a reliable guide to future statistical means and other moments around the means. Paul, re nonergodic processes in physics I would even say that MOST processes definitely are nonergodic. Re Ole Peters I totally agree that what is important with the fact that real social and economic processes are nonergodic is the fact that uncertainty – not risk – rules the roost. That was something both Keynes and Knight basically said in their 1921 books. But I still think that Peters’ discussion is a good example of how thinking about uncertainty in terms of “rational expectations” and “ensemble averages” has had seriously bad repercussions on the financial system. Lars, there is a difference between the uncertainty concept developed by Keynes and the one developed by Knight. As I have pointed out, Keynes’s concept of uncertainty involves a nonergodic stochastic process . On the other hand, Knight’s uncertainty — like Taleb’s black swan — assumes an ergodic process. The difference is the for Knight (and Taleb) the uncertain outcome lies so far out in the tail of the unchanging (over time) probability distribution that it appears empirically to be [in Knight’s terminology] “unique”. 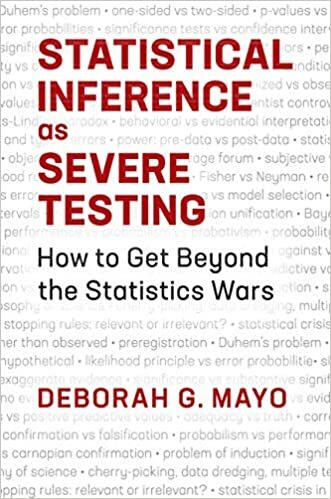 In other words, like Taleb’s black swan, the uncertain outcome already exists in the probability distribution but is so rarely observed that it may take several lifetimes for one observation — making that observation “unique”. In the latest edition of Taleb’s book , he was forced to concede that philosophically there is a difference between a nonergodic system and a black swan ergodic system –but then waves away the problem with the claim that the difference is irrelevent. Paul, on the whole, I think you’re absolutely right on this. Knight’s uncertainty concept has an epistemological founding and Keynes’s definitely an ontological founding. Of course this also has repercussions on the issue of ergodicity in a strict methodological and mathematical-statistical sense. I think Keynes’s view is the most warranted of the two. BUT – from a “practical” point of view I have to agree with Taleb. Because if there is no reliable information on the future, whether you talk of epistemological or ontological uncertainty, you can’t calculate probabilities. The most interesting and far-reaching difference between the epistemological and the ontological view is that if you subscribe to the former, knightian view – as Taleb and “black swan” theorists basically do – you open up for the mistaken belief that with better information and greater computer-power we somehow should always be able to calculate probabilities and describe the world as an ergodic universe. As both you and Keynes convincingly have argued, that is ontologically just not possible. Lars, your last sentence says it all. If you believe it is an ergodic system and epistemology is the only problem, then you should urge more transparency , better data collection, hiring more “quants” on Wall Street to generate “better” risk management computer problems, etc — and above all keep the government out of regulating financial markets — since all the government can do is foul up the outcome that the ergodic process is ready to deliver. Long live Stiglitz and the call for transparency to end asymmetric information — and permit all to know the epistemological solution for the ergodic process controlling the economy. Or as Milton Friedman would say, those who make decisions “as if” they knew the ergodic stochastic process create an optimum market solution — while those who make mistakes in trying to figure out the ergodic process are like the dinosaurs, doomed to fail and die off — leaving only the survival of the fittest for a free market economy to prosper on. The proof is why all those 1% far cats CEO managers in the banking business receive such large salaries for their “correct” decisions involving financial assets. 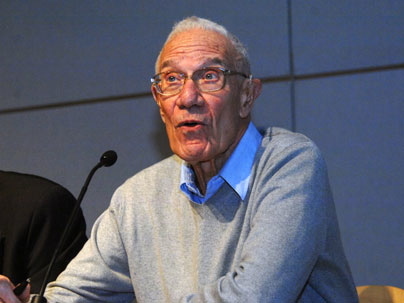 Alternatively, if the financial and economic system is non ergodic then there is a positive role for government to regulate what decision makers can do so as to prevent them from mass destruction of themselves and other innocent bystanders — and also for government to take positive action when the herd behavior of decision makers are causing the economy to run off the cliff. So this distinction between ergodic and nonergodic is essential if we are to build institutional structures that make running off the cliff almost impossible. — and for the government to be ready to take action when some innovative fool(s) discovers a way to get around institutional barriers and starts to run the economy off the cliff. 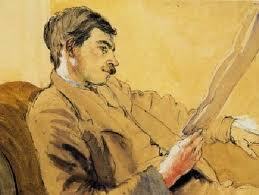 To Keynes the source of uncertainty was in the nature of the real – nonergodic – world. 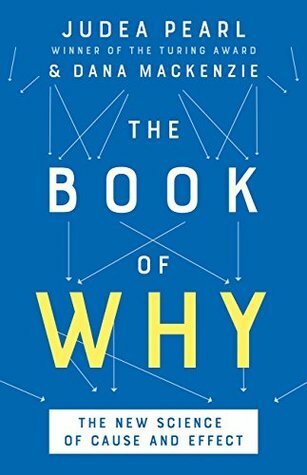 It had to do, not only – or primarily – with the epistemological fact of us not knowing the things that today are unknown, but rather with the much deeper and far-reaching ontological fact that there often is no firm basis on which we can form quantifiable probabilites and expectations. 29 mars, 2012 kl. 14:37 | Publicerat i Economics | Kommentarer inaktiverade för Has ”modern” macroeconomics delivered? Rational expectations (which proposed that we’re all too smart to be fooled by money-printing central bankers and deficit-spending governments): Intellectually interesting, and maybe helpful in ”normal times,” whatever those are. But not very good at describing or predicting the actual behavior of the economy at any time, and worthless in a crisis. DSGE (sometimes called ”New Keynesian”) models: Not ”quite as bad as they sound,” as they do describe an economy that moves along by fits and starts. They just don’t leave room for any crazy stuff. Steve Keen has answered Krugman. Economists do much better when they tackle small, well-defined problems. As John Maynard Keynes put it, economists should become more like dentists: modest people who look at a small part of the body but remove a lot of pain. In the 20th century, the main challenge to Keynes’s vision came from economists like Friedrich Hayek and Milton Friedman, who envisioned an ideal economy involving isolated individuals bargaining with one another in free markets. Government, they contended, usually messes things up. Overtaking a Keynesianism that many found inadequate to the task of tackling the stagflation of the 1970s, this vision fueled neoliberal and free-market conservative agendas of governments around the world. THAT vision has in turn been undermined by the current crisis. It took extensive government action to prevent another Great Depression, while the enormous rewards received by bankers at the heart of the meltdown have led many to ask whether unfettered capitalism produced an equitable distribution of wealth. We clearly need a new, alternative vision of capitalism. But thanks to decades of academic training in the “dentistry” approach to economics, today’s Keynes or Friedman is nowhere to be found. don’t seem to have suffered one whit for the subsequent sequence of events, a slow-motion train wreck that one might reasonably have expected would have rubbished the credibility of lesser mortals. Det nyliberala centerpartiet – med en devot Margaret Thatcher och Ayn Rand beundrande Annie Lööf i spetsen – har föreslagit att ingångslönerna skall sänkas för att skapa jobb. Som jag skrivit om tidigare är detta en helt galen idé, med liten eller ingen förankring i ekonomisk klokskap. Men man kan också undra över hur det står till med partiets ideologiska renlärighet. Centern hävdar nämligen också att staten ska ha en aktiv roll i lönebildningsprocessen. Det låter inte så varken liberalt eller nyliberalt. Och varför anammar inte partiet samma inställning när det gäller skolan och lärarlönerna? Hade det inte varit konsekvent att också kräva statlig styrning av lärarlönerna? Öronmärkning av statliga bidrag till kommunerna (så att pengar villkoras till att också innebära lärarlönehöjningar)? Återförstatligande av skolan? Jag bara undrar. För varje månad som går vinner konjunkturnedgången i Sverige i oavbruten styrka. De närmsta åren hotar bjuda på en långvarig konjunkturnedgång i den svenska ekonomin. I detta minst sagt svåra läge – när ekonomin åter börjar hänga på repen – har vi de senaste veckorna kunnat läsa hur man från både regerings- och arbetsgivare-håll föreslagit att man ska försöka lösa krisen med hjälp av lönesänkningar i en eller annan form (inte minst ungdomslönerna har varit på tapeten). Egentligen ska man nog främst se detta som ett tecken på hur lågt förtroendet för det ekonomiska systemet sjunkit. Från gårdagens nyliberala våtdrömmar om ekonomins kommandohöjder har vi sjunkit till den ekonomiska verklighetens bankkrascher, företagsnedläggelser och galopperande arbetslöshet. För det är ju självklart inte så att lönesänkningar räddar jobb. I en situation där krisen som började kring 2007-08 långt ifrån är över, varken globalt eller här hemma, har vi mer än något annat behov av stimulansåtgärder och en ekonomisk politik som leder till ökad effektiv efterfrågan. Visst kan det kortsiktigt fungera för enskilda företag och fackföreningar att satsa på frysta eller sänkta löner. Men det är ett atomistiskt felslut att tro att en generell lönesänkningspolitik skulle främja ekonomin. Tvärtom. Som Keynes visade blir den aggregerade effekten av lönesänkningar katastrofal. De sätter igång en kumulativ prissänknings-spiral som får företags och enskildas skulder att realt öka eftersom skulderna nominellt inte påverkas av den allmänna pris- och löneutvecklingen. I en ekonomi som alltmer kommit att bygga på ökat låntagande och skuldsättning blir detta inkörsporten till en deflationskris. Detta i sin tur leder till att ingen vill låna pengar och kapital eftersom betalningsbördan över tiden blir för betungande. Företag blir insolventa, investeringarna minskar, arbetslösheten ökar och depressionen står för dörren. Låt oss tala. Och tala tydligt. Risken för skulddeflation kan aldrig bagatelliseras. 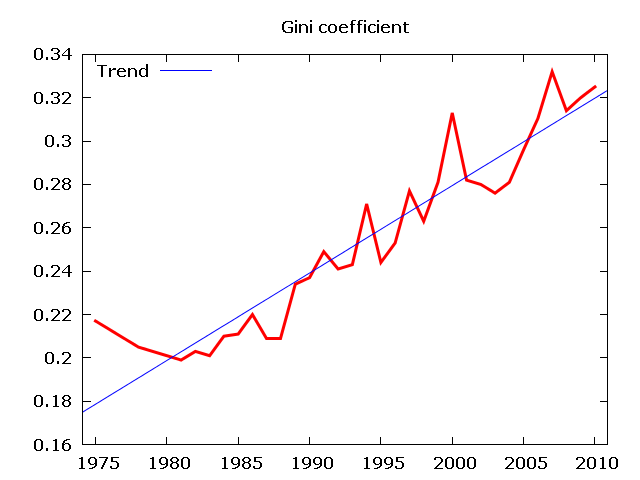 Ser vi på svenska data över inflationsförändring och BNP för åren 1980-2008 kan vi konstatera att för varje punkt som den reala BNP understiger den potentiella BNP så tenderar inflationstakten att minska med en halv punkt. Detta måste tas på fullt allvar. Om gapet mellan real och potentiell BNP ökar de närmsta åren innebär detta att deflationen snart riskerar bli ett faktum. Det överhängande problemet för svensk ekonomi är att vi inte får fart på konsumtion och kreditgivning. Förtroende och effektiv efterfrågan måste återupprättas. Vi kan självklart inte bara sitta med armarna i kors och vänta på att ovädret drar vidare – men att föreslå krislösning byggd på sänkta löner är att skriva ut recept på än värre katastrofer. Vill regering och arbetsgivare ta samhällsansvar – och inte låta enfald få ersätta analysförmåga och besinning – måste de klart och tydligt ta avstånd från allehanda kortsiktiga och kontraproduktiva lönesänkningsstrategier. Skall man ta sig ur djupa ekonomiska svackor krävs vassare, bättre och effektivare instrument – som exempelvis en aktiv och offensiv finanspolitik. Paul Krugman has a niece piece today on his blog, commenting on the recently published paper by Brad DeLong and Larry Summers on fiscal policy in a depressed economy. 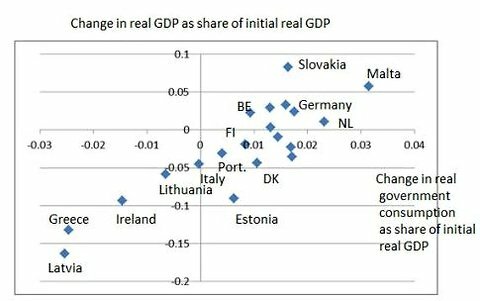 Even though the long-run effects of austerity policies may be minimal, they certainly impose large costs here and now. Self-evident conclusion: stop cutting and start stimulate, at least as long as we are stilled trapped in a liquidity trap. Still, is this the kind of outcome you would have expected if you believed what the Austerians were saying? Or is it what you would have expected if you’d been reading those of us horrified by the turn to austerity? What gets me about all of this is the incredible, unwarrented arrogance of the austerians. They decided that they knew better than textbook macroeconomics, even though none of them had predicted the crisis or even seen the possibility of such a crisis. And the wreckage now lies all around us. People calling themselves ”new-Keynesians” – a gross misnomer – ought to be rather embarrassed by the fact that the kind of microfounded dynamic stochastic general equilibrium models they use, cannot incorporate such a basic fact of reality as involuntary unemployment! Of course, working with representative agent models, this should come as no surprise. If one representative agent is employed, all representative agents are. The kind of unemployment that occurs is voluntary, since it is only adjustments of the hours of work that these optimizing agents make to maximize their utility. The final court of appeal for macroeconomic models is the real world, and as long as no convincing justification is put forward for how the inferential bridging de facto is made, macroeconomic modelbuilding is little more than “hand waving” that give us rather little warrant for making inductive inferences from models to real world target systems. If substantive questions about the real world are being posed, it is the formalistic-mathematical representations utilized to analyze them that have to match reality, not the other way around. ”Modern” economics has become increasingly irrelevant to the understanding of the real world. In his seminal book Economics and Reality (1997) Tony Lawson traced this irrelevance to the failure of economists to match their deductive-axiomatic methods with their subject. It is – sad to say – as relevant today as it was fifteen years ago. It is still a fact that within mainstream economics internal validity is everything and external validity – nothing. Why anyone should be interested in that kind of theories and models is beyond my imagination. As long as mainstream economists do not come up with any export-licenses for their theories and models to the real world in which we live, they really should not be surprised if people say that this is not science, but autism! 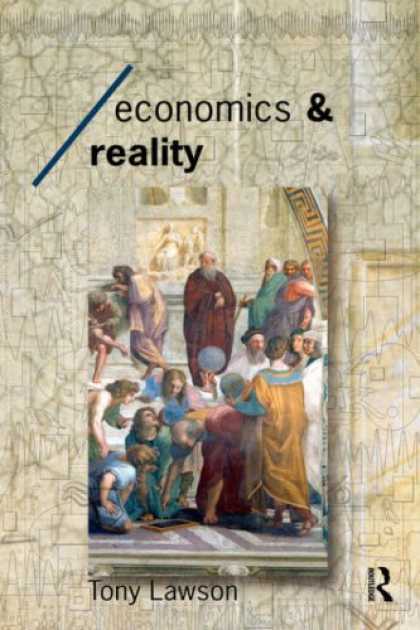 Economics and Reality was a great inspiration to me fifteen years ago. It still is. There are many who have ventured to answer this question. And they have come up with a variety of answers, ranging from the exaggerated mathematization of economics, to irrational and corrupt politicians. But the root of our problem goes much deeper. It ultimately goes back to how we look upon the data we are handling. In “modern” macroeconomics – dynamic stochastic general equilibrium, new synthesis, new-classical and new-Keynesian -variables are treated as if drawn from a known “data-generating process” that unfolds over time and on which we therefore have access to heaps of historical time-series. If we do not assume that we know the “data-generating process” – if we do not have the “true” model – the whole edifice collapses. And of course it has to. I mean, who really honestly believes that we should have access to this mythical Holy Grail, the data-generating process? “Modern” macroeconomics obviously did not anticipate the enormity of the problems that unregulated “efficient” financial markets created. Why? Because it builds on the myth of us knowing the “data-generating process” and that we can describe the variables of our evolving economies as drawn from an urn containing stochastic probability functions with known means and variances. This is like saying that you are going on a holiday-trip and that you know that the chance the weather being sunny is at least 30%, and that this is enough for you to decide on bringing along your sunglasses or not. You are supposed to be able to calculate the expected utility based on the given probability of sunny weather and make a simple decision of either-or. Uncertainty is reduced to risk. But as Keynes convincingly argued in his monumental Treatise on Probability (1921), this is no always possible. Often we simply do not know. According to one model the chance of sunny weather is perhaps somewhere around 10% and according to another – equally good – model the chance is perhaps somewhere around 40%. We cannot put exact numbers on these assessments. We cannot calculate means and variances. There are no given probability distributions that we can appeal to. In the end this is what it all boils down to. We all know that many activities, relations, processes and events are of the Keynesian uncertainty-type. The data do not unequivocally single out one decision as the only “rational” one. Neither the economist, nor the deciding individual, can fully pre-specify how people will decide when facing uncertainties and ambiguities that are ontological facts of the way the world works. Some macroeconomists, however, still want to be able to use their hammer. So they decide to pretend that the world looks like a nail, and pretend that uncertainty can be reduced to risk. So they construct their mathematical models on that assumption. The result: financial crises and economic havoc. How much better – how much bigger chance that we do not lull us into the comforting thought that we know everything and that everything is measurable and we have everything under control – if instead we could just admit that we often simply do not know, and that we have to live with that uncertainty as well as it goes. Fooling people into believing that one can cope with an unknown economic future in a way similar to playing at the roulette wheels, is a sure recipe for only one thing – economic catastrophy! Earlier this week, new-Keynesian macroeconomist Simon Wren-Lewis asked me to explain why other ways of doing macro have (purportedly) died out and the microfoundations approach has become so dominant. In my admittedly tentative answer I wrote. (1) One could of course say that one reason why the microfundations approach is so dominant is – as Krugman has it on his blog today – “trying to embed your ideas in a microfounded model can be a very useful exercise — not because the microfounded model is right, or even better than an ad hoc model, but because it forces you to think harder about your assumptions, and sometimes leads to clearer thinking”.But I don’t really believe that is an especially important reason on the whole. I mean, if people put that enormous amount of time and energy that they do into constructing macroeconomic models, then they really have to be substantially contributing to our understanding and ability to explain and grasp real macroeconomic processes. If not, they should – after somehow perhaps being able to sharpen our thoughts – be thrown into the waste-paper-basket (something the father of macroeconomics, Keynes, used to do), and not as today, being allowed to overrun our economics journals and giving their authors lots of academic prestige. (2) A more plausible reason is that microfoundations is in line with the reductionism inherent in the metohodological individaulism that almost all neoclassical economists subscribe to. And as e.g. argued by Johan Åkerman and Ekkehart Schlicht this is deeeply problematic for a macroeconomics trying to solve the ”summation problem” without nullifying the possibility of emergence. (3)It is thought to give macroeconomists the means to fully predetermine their models and come up with definitive, robust, stable, answers. In reality we know that the forecasts and expectations of individuals often differ systematically from what materialize in the aggregate, since knowledge is imperfect and uncertainty – rather than risk – rules the roost. (4) Microfoundations allegedly goes around the Lucas critique by focussing on ”deep” structural, invariant parameters of optimizing individuals’ preferences and tastes. As I have argued, this is an empty hope without solid empirical or methodological foundation. The kind of microfoundations that ”new-Keynesian” and new-classical general equilibrium macroeconomists are basing their models on, are not – at least from a realist point of view – plausible. As all students of economics know, time is limited. Given that, there has to be better ways to optimize its utilization than spending hours and hours working through or constructing irrelevant macroeconomic models founded on microfoundations more chosen from considerations of mathematical tractability than applying to reality. 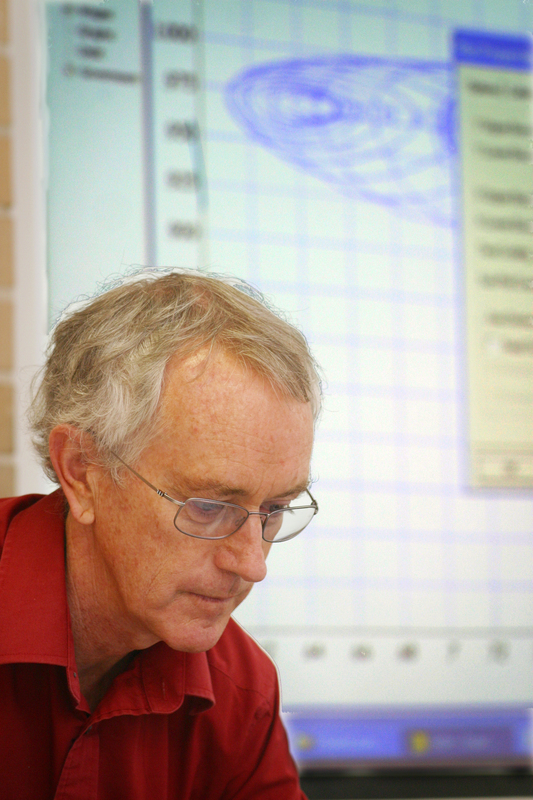 I would rather recommend my students allocating their time into constructing better, real and relevant macroeconomic models – models that really help us to explain and understand reality. Of course, I could just as well have directed Wren-Lewis to Robert Solow’s article. There the answer to his question was given already four years ago. Några studenter har hört av sig och påpekat att Daniel Waldenström på ekonomistas idag också har ett diagram över Ginikoefficientens utveckling i Sverige – men att diagrammet skiljer sig från det jag tidigare idag lade ut i artikeln Inequality in Sweden continues to increase. Anledningen till diskrepansen är dock inte att någon av oss skulle räknat fel, utan helt enkelt att SCB, för att möjliggöra den långa tidsserie som jag använt mig av, där använder ett äldre hushållsbegrepp och en äldre definition av disponibel inkomst än i den kortare tidsserie som Daniel bygger på. C’est tout! I upset even New Keynesians, such as Simon Wren-Lewis, with my observation that the crusade for microfoundations has had only one success, the prediction of stagflation after an extended period of high inflation, and that this success is 35 years old. Yet I stand by that statement. Let me be clear about what I mean in saying that. I don’t mean that setting up and working out microfounded models is a waste of time. 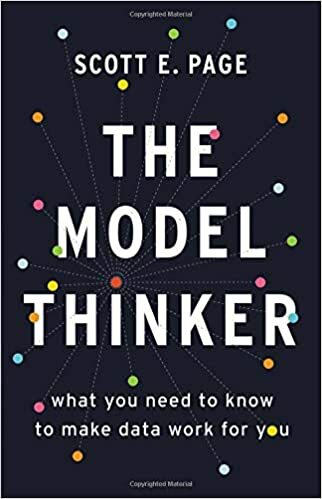 On the contrary, trying to embed your ideas in a microfounded model can be a very useful exercise — not because the microfounded model is right, or even better than an ad hoc model, but because it forces you to think harder about your assumptions, and sometimes leads to clearer thinking. In fact, I’ve had that experience several times: I was convinced that the liquidity trap was wrong until I did a miniature NK model and saw that it made sense, my work with Gauti Eggertsson on deleveraging also uses NK modeling to clarify matters. But bear in mind what we’ve actually seen in academic economics: the development of an ethos in which only microfounded models are considered “real” theory, in which it’s basically impossible to publish a paper unless it’s intertemporal optimization all the way. That’s the kind of dominance a theory is only entitled to if it produces dramatically better predictions than the theory it has crowded out: Light bend! The sea floor spreads! And that just hasn’t happened; there has, I repeat, been only one significant predictive success of this kind from microfoundations, and that happened a very long time ago. Although I certainly agree with Krugman’s harsh judgement on microfoundations of macroeconomics – and it goes for both the ”new-Keynesian” and new-classical variety – I am however not convinced by the argument that ”trying to embed your ideas in a microfounded model can be a very useful exercise — not because the microfounded model is right, or even better than an ad hoc model, but because it forces you to think harder about your assumptions, and sometimes leads to clearer thinking”. Why? Because it smacks to much of l’art pour l’art. I mean, if people put that enormous amount of time and energy that they do into constructing macroeconomic models, then they really have to be substantially contributing to our understanding and ability to explain and grasp real macroeconomic processes. If not, they should – after somehow perhaps being able to sharpen our thoughts – be thrown into the waste-paper-basket (something the father of macroeconomics, Keynes, used to do), and not as today, being allowed to overrun our economics journals and giving their authors celestial academic prestige. Krugman’s explications on this issue is really interesting also because they shed light on a kind of inconsistency in his art of argumentation. During a couple of years Krugman has in more than one article criticized mainstream economics for using to much (bad) mathematics and axiomatics in their model-building endeavours. But when it comes to defending his own position on various issues he usually himself ultimately falls back on the same kind of models. This shows up also in the citation above, where he refers to the work he has done with Eggertsson – work that actually, when it comes to methodology and assumptions, has a lot in common with the kind of model-building he otherwise criticizes. On most macroeconomic policy discussions I find myself in agreement with Krugman. To me that just shows that Krugman is right in spite of and not thanks to those models he ultimately refers to. When he is discussing austerity measures, ricardian equivalence or problems with the euro, he is actually not using those models, but rather simpler and more adequate and relevant thought-constructions in the vein of Keynes. As all students of economics know, time is limited. Given that, there has to be better ways to optimize its utilization than spending hours and hours working through or constructing irrelevant macroeconomic models just beacuase they ”sometimes leads to clearer thinking.” I would rather recommend my students allocating their time into constructing better, real and relevant macroeconomic models – models that really help us to explain and understand reality. I would say that what we see happen in Sweden is deeply disturbing. The rising inequality has probably to do with income and wealth increasingly being concentrated in the hands of a very small and privileged elite. Microfoundations – of course there is an alternative! 13 mars, 2012 kl. 21:37 | Publicerat i Economics | Kommentarer inaktiverade för Microfoundations – of course there is an alternative! It is remarkable and, I think, instructive fact that in nearly 50 years that Keynesian tradition has produced not one useful model of the individual unemployed worker, and no rationale for unemployment insurance beyond the observation that, in common with countercyclical cash grants to corporations or to anyone else, it has the effects of increasing the total volume of spending at the right times. 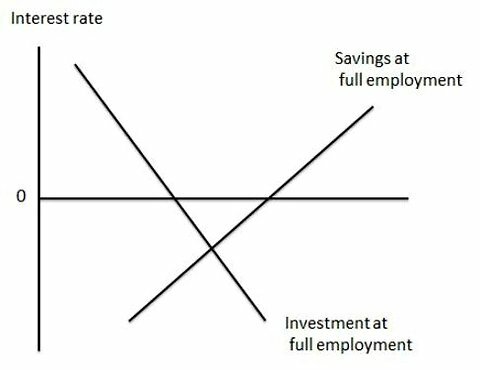 By dogmatically insisting that unemployment be classed as ‘involuntary’ this tradition simply cut itself off from serious thinking about the actual options unemployed people are faced with, and hence from learning anything about how the alternative social arrangements might improve these options. The most interesting recent developments in macroeconomic theory seem to me describable as the reincorporation of aggregative problems such as inflation and the business cycle within the general framework of ‘microeconomic’ theory. If these developments succeed, the term ‘macroeconomics’ will simply disappear from use and the modifier ‘micro’ will become superfluous. We will simple speak, as did Smith, Ricardo, Marshall and Walras, of economic theory. If we are honest, we will have to face the fact that at any given time there will be phenomena that are well-understood from the point of view of the economic theory we have, and other phenomena that are not. We will be tempted, I am sure, to relieve the discomfort induced by discrepancies between theory and facts by saying the ill-understood facts are the province of some other, different kind of economic theory. Keynesian ‘macroeconomics’ was, I think, a surrender (under great duress) to this temptation. It led to the abandonment, for a class of problems of great importance, of the use of the only ‘engine for the discovery of truth’ that we have in economics. Thanks to latter-day Lucasian new-classical-new-Keynesian-rational-expectations-representative-agents-microfoundations-economists, we are supposed not to – as our primitive ancestors – use that archaic term ‘macroeconomics’ anymore (with the possible exception of warning future economists not to give in to ‘discomfort.’) Being intellectually heavily indebted to the man who invented macroeconomics – Keynes – yours truly firmly declines to concur. Microfoundations – and a fortiori rational expectations and representative agents – serve a particular theoretical purpose. And as the history of macroeconomics during the last thirty years has shown, this Lakatosian microfoundation programme for macroeconomics is only methodologically consistent within the framework of a (deterministic or stochastic) general equilibrium analysis. In no other context has it been possible to incorporate these kind of microfoundations, with its “forward-looking optimizing individuals,” into macroeconomic models. But it obviously doesn’t work. The analogy between microeconomic behaviour and macroeconomic behaviour is misplaced. 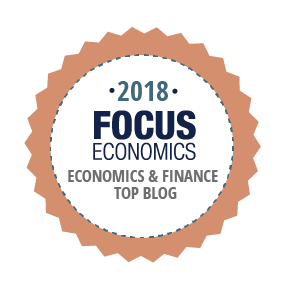 Empirically, science-theoretically and methodologically, neoclassical microfoundations for macroeconomics are – as I have argued in a couple of blog-posts the last weeks – defective. Tenable foundations for macroeconomics really have to be sought for elsewhere. Of course there is an alternative to neoclassical general equilibrium microfoundations! Behavioural economics and Goldberg & Frydman’s ”imperfect knowledge” economics being two noteworthy examples that easily come to mind. And for those of us who have not forgotten the history of our discipline, and not bought the sweet-water nursery tale of Lucas et consortes that Keynes was not “serious thinking,” we can easily see that there exists a macroeconomic tradition inspired by Keynes (that has absolutely nothing to do with any “new synthesis” or “new-Keynesianism” to do). Antagligen ett grabbigt skämt, men kanske säger Jean-Claude Junckers – ledare för Eurogruppen av finansministrar – stryptag på Spaniens näringsminister Luis de Guindos något om eurosamarbetets gränser idag ….